Welcome to Ombak Indah Resort. Welcome to Ombak Indah Resort (formerly Losmen), situated on the point of Tanjung Setia about 30km south of Krui in West Lampung, South Sumatra. 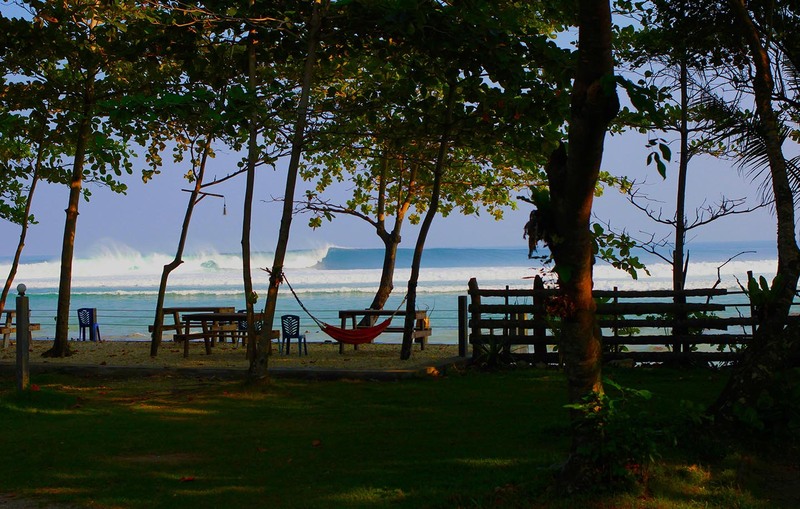 Ombak Indah has prime position on the point, overlooking the long left hand break named Ujung Bocor. Rides of over 300m are common. There's a perfect view of the reef and the waves running along it right at your doorstep. 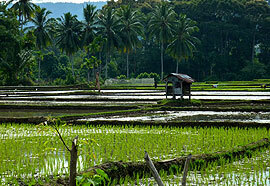 Within a 2 hour drive there are at least a dozen other breaks, the closest being Way Jambu, approximately 15min south. About the same distance north takes you to the Mandiri beach breaks, then another 10 minutes to Krui Left and Right. There's an endless choice with more breaks further to the south and north. Find out more about the waves in the area. 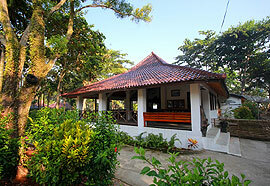 Why choose Ombak Indah Resort? 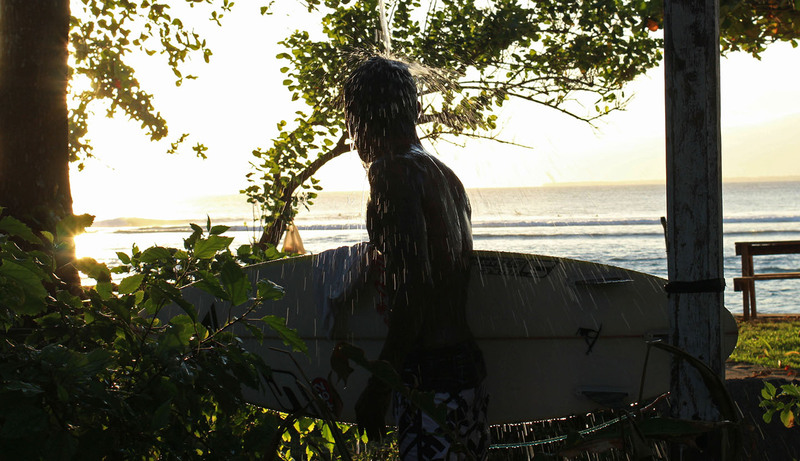 Non-surfers wanting to explore remote parts of Indonesia away from the tourist influence. Directly out the front is Ujung Bocor, the longest and most consistent break in the area. There are over a dozen other waves to choose from, the closest being a 10min walk the furthest a 2hr drive. There’s a wave to suit everyone. Set on an old coconut plantation, the rooms and facilities are set among tropical gardens with 120 metres of ocean frontage. Our facilities are the best in the area, earning us the reputation of premier accommodation in the area. The local village, Tanjung Setia, is bordered by the ocean to the west and a mountain range of thick tropical jungle to the east. Often described as how Bali used to be 40 years ago, the area is largely untouched and provides an opportunity for visitors to experience traditional Indonesian way of life. Always ready with a smile, our staff make the difference. From the surf guides who know where to find the waves to the kitchen staff who prepare delicious meals to give you the energy to surf all day long. Our staff always go the extra mile to make sure you have a great stay.